As I consider my upcoming term serving as the president of the Tire Industry Association (TIA), my first thought is to recognize the hard work and dedication of the current TIA Board of Directors, Executive Committee, staff and especially our outgoing president, David Martin. 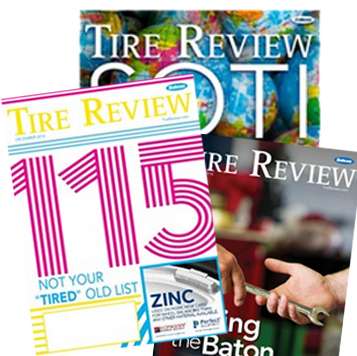 The association continues to stay on a positive path with a consistent focus on improving the tire industry for all. I am looking forward to the opportunity to “stay the course” while building on the collaboration that has helped us move forward in the past few years. For over 28 years, I’ve had the honor to work at Sam’s Club and currently lead the Operations Team for our Tire and Battery Centers. 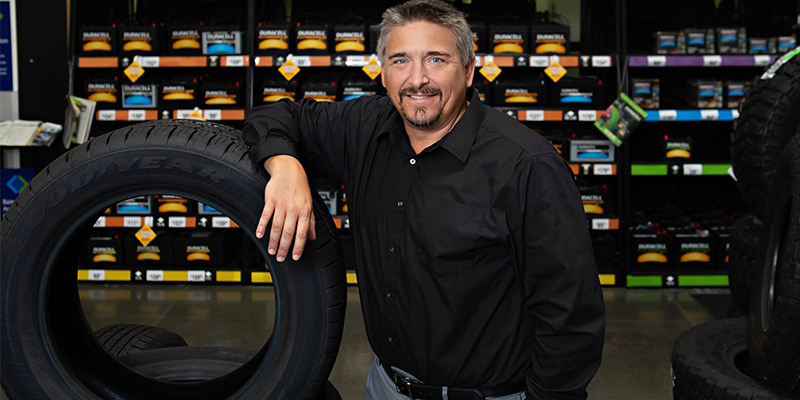 My journey with Sam’s Club began in early 1990 as a tire technician at the location in Orlando, Florida, and throughout the years, I’ve had the opportunity to hold various roles. My experience with the Sam’s Club Tire and Battery Centers has shown me the importance of robust and comprehensive training programs. Our TIA training and education programs continue to provide the most comprehensive hands-on training to technicians all over the nation, making sure that tire safety is our top priority. We have seen positive growth in our new programs, including Industrial Tire Service (ITS), Farm Tire Service (FTS) and our Certified Earthmover Tire Service (ETS) program. I am proud of the industry-leading training resources developed by TIA and led by the Senior Vice President of Training Kevin Rohlwing. TIA continues to stay at the forefront of making sure our members and supporters are well aware of key legislative issues impacting our industry today. On June 20 we successfully gathered on Capitol Hill in Washington, D.C. to host our Federal Lobby Day. Members from all sectors of the industry visited their legislators and spoke with them on important issues impacting the industry, including: estate tax; infrastructure funding; online sales; healthcare; LIFO repeal; tariffs, and more. I am thankful for the government affairs team that is led by Roy Littlefield IV, director of government affairs, for making sure that TIA’s involvement on both the state and federal level does not go unnoticed or unheard. With our industry in constant change, it is important that we continue our annual meetings with various tire manufacturers and the U.S. Tire Manufacturers Association (USTMA). Our discussions help us identify opportunities to work together in solving issues facing the industry today. As said by Henry Ford, “Coming together is a beginning. Keeping together is progress. Working together is success.” I believe we have moved to the success portion of the quote and will strive to continue the positive momentum. I am proud to say that our membership base has reached well over 13,000 and continues to grow! We offer impressive member benefits programs that focus on helping tire dealers improve their operating costs. Our programs include, but are not limited to: business insurance; workers compensation and health insurance; human resources and management consulting programs; online marketing solutions; credit and collections options; credit card processing, and consumer credit card programs. In closing, I can’t think of a more exciting time in the tire industry than today. Technology advancements in tires and automobiles have advanced at a pace only imagined in the past. As our industry gets more complex, the role of the Tire Industry Association is an even more important resource that helps our members prepare to traverse the obstacles and maximize the opportunities the future will bring.